Bakersfield, CA – The Fourth Annual Winter Showdown at Kern County Raceway will move from its traditional 250-lap race length, to 300 laps in 2018. The race pays $30,000 to win, $3,000 to start and takes place on Saturday afternoon February 3rd in 2018. The format of the race weekend will also change for the teams in 2018, as the top thirty drivers from Friday night’s single car qualifying will go straight to Saturday’s 300 lap Winter Showdown. Four drivers will transfer from Friday night’s Last Chance Qualifier and the final two positions will be provisionals to make up the 36 car-starting field. The race weekend has also been shortened by one day for the race teams, as the event will officially open on Thursday for tech inspection and a four-hour afternoon practice session. Friday will feature two more practice sessions with single car qualifying at 7pm, followed by the Last Chance Qualifier. The Winter Showdown 300 will remain a twelve tire race, and start at 2pm on Saturday afternoon. 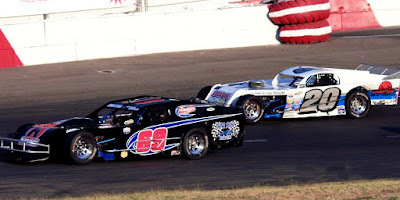 In its first three years, the “Winter Showdown” at Kern County Raceway, in Bakersfield, California has awarded over $400,000 in prize money to the top Super Late Models drivers in the nation. The 2018 edition of the Winter Showdown 300 will take place on Saturday afternoon, February 3rd, with a cash payout of $147,000 with $30,000 going to the winner, and a minimum $3,000 to start, making it the richest short track event of the year. Senoia, Georgia’s Bubba Pollard has two Winter Showdown victories and Bakersfield’s Derek Thorn is the 2017 defending race winner. For additional information on the Fourth Annual Winter Showdown, go to www.srlsouthwesttour.com, contact the SRL office at 661-679-4681, lcollins@mesamarin.com or rickybrooks5@aol.com. DAYTONA BEACH, Fla. — The NASCAR K&N Pro Series West returns to the track for the penultimate race of the season, the Toyota/NAPA Auto Parts 150 presented by TriCo Welding Supply on Saturday, October 14, at All American Speedway in Roseville, California. While he won’t win the series championship, 16-year-old Derek Kraus has his sights set on a couple of career milestones as he enters the final two races of the season. A first trip to Victory Lane tops that list of possible achievements for the Stratford, Wisconsin, driver, and with seven top five finishes in 12 starts this season, it’s clear that Kraus is closing on his first win. He has three runner-up finishes this season — at California’s Kern County Raceway Park, Washington’s Spokane County Raceway and Colorado National Speedway — and has finished in the top five in each of the last two races entering the weekend. Kraus sits third in the overall standings. Kraus is also locked in a tight Sunoco Rookie of the Year battle with Will Rodgers, sitting five points ahead of Rodgers for the honor. Rodgers, too, is inching closer to a first career K&N Pro Series West win, despite being a two-time winner in the East series. The 23-year old from Murrieta, California, won both of his starts on road courses in the East this season — at Watkins Glen and New Jersey Motorsports Park. Rodgers is fourth in the West standings, with eight top fives — including three straight entering Roseville — this year. Kraus and Rodgers sit third and fourth in the championship standings, respectively, and are separated by just one point headed into Saturday. Kraus' Bill McAnally Racing teammates are also in a battle. Todd Gilliland and Chris Eggleston are in a tight fight for the 2017 championship with Gilliland holding an 11-point lead over Eggleston in the standings. EVENT SCHEDULE: Saturday, October 14 — Garage opens: 10 a.m.; Practice: 12:15-1 p.m.; Final practice: 1:45-2:30 p.m.; Group qualifying: 4:45 p.m.; Driver autograph session: 5:30 p.m.; Toyota/NAPA Auto Parts 150 presented by TriCo Welding Supply: 7 p.m. 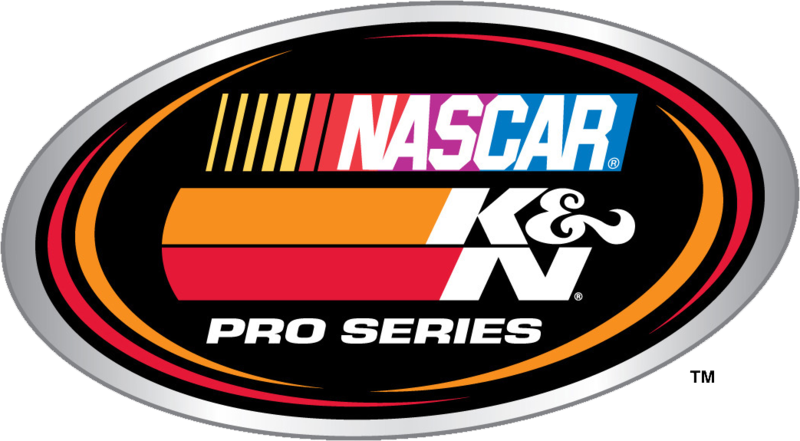 The Race: The Toyota/NAPA Auto Parts 150 will be the 13th of 14 races on the 2017 NASCAR K&N Pro Series West schedule. The Procedure: The starting field is 24 cars, including provisionals. The first 20 cars will qualify through the group qualifying process with the remaining four spots being awarded through the provisional process. The race is schedule for 150 laps covering 50 miles. The Track: All American Speedway is a .333-mile paved oval with eight degrees banking in Turns 1 & 2. Turns 3 & 4 have progressive banking, beginning at 10 degrees and graduating to 14 degrees. The track hosted five NASCAR K&N Pro Series West events between 1977 and 1982, when it was a quarter-mile oval and 13 races since it was renovated prior to the 2008 season. Race Winners: There have been 14 different winners in the 18 previous NASCAR K&N Pro Series West races held at All-American Speedway. Eric Holmes leads all drivers with four career wins at the track, while Paulie Harraka won twice and is the only other driver to win multiple races at All American. Track Records: Qualifying: Jason Bowles, Ford, 13.589 seconds (88.218 mph), April 4, 2009. 150-lap Race Record: Eric Holmes, Toyota, 44 minutes and 21 seconds (67.576 mph), April 4, 2009. Championship Battle: With wins in six of the 12 races held thus far in 2017, reigning series champion Todd Gilliland leads Chris Eggleston by 11 points atop the NASCAR K&N Pro Series West standings. Gilliland, who finished second in the final K&N Pro Series East standings this season, has nine top fives and 11 top 10s entering the final two races of the season. Eggleston has been equally impressive this season, with four wins and series-highs in both top fives (10) and top 10s (12). He is the only driver to finish in the top 10 in every race to date. 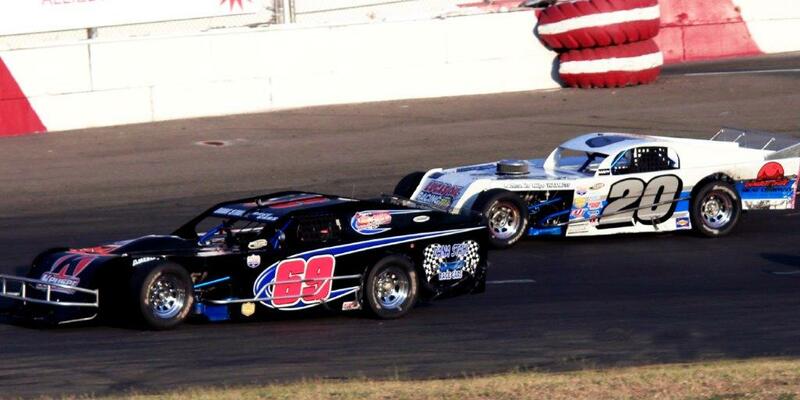 American Style: Bill McAnally Racing has found the quick way around All American Speedway. Since the start of the 2008 season, BMR teams have won five races at the track. Eric Holmes, a three-time K&N Pro Series West champion, has four wins to lead all drivers at the track, all while driving for BMR. In the last eight races at All American, BMR teams have three wins, three runner-up finishes and two third-place finishes. Self-less No Longer: When Michael Self won the NAPA Auto Parts Idaho 208 presented by Perfect Hydration and Lights Out at Meridian Speedway two weeks ago, it marked the Park City, Utah, native’s first K&N Pro Series West win since he conquered Missouri’s I-44 Speedway in 2013. Despite missing the first race of the season, Self sits fifth now in the series standings — just 12 points out of third. Self has not finished outside the top 10 in any of his 11 starts this year, and he’s not finished worse than seventh since an 8th-place finish at Colorado National Speedway in early June. Think Pink: The Toyota/NAPA Auto Parts 150 presented by TriCo Welding Supply will also serve as a fundraiser for the Placer Breast Cancer Foundation. October is Breast Cancer Awareness Month, and fans will be encouraged to make donations to the Placer Breast Cancer Foundation. More information about the foundation can be found by visiting their website at www.placerbreastcancerfoundation.org. The final event in the 2017 championship race for the North State Modified Series, presented by Protect the Harvest, will be held this Saturday night at All American Speedway in Roseville, California. The Sinister Diesel October Classic will feature a six-car six-lap Lucas Oil Dash for Cash along with a 60 lap feature event. The A-Main purse payout has been increased, courtesy of Economy Heating & Air of Roseville, Ward Ranches and Roseville's Sinister Diesel. At the end of the competition the 2017 North State Modified Series (NSMS) champion will be revealed. Currently Darrin Knight of Kelseyville leads Charlie Collins of Lakeport by only 16 points. It is possible to earn as many as 79 points at each event. After his win at Shasta Speedway last month, Darrin Sullivan (Kelseyville) took over third from Eric Johnson (Kelseyville.) Sullivan's margin over Johnson is a mere 22 points. These four drivers are the only ones having a mathematical chance to win the championship. Sierra Furia (Lakeport) sits in fifth place, only 26 points ahead of Cloverdale's Dustin DeRosier. Trailing DeRosier by 56 points is Jason Philpot of Sacramento. Adrianna Strugnell (Kelseyville) rides in the eighth spot, six points behind Philpot and four points ahead of veteran driver Richie Potts of Petaluma. Simi Tour of Potter Valley rounds out the top ten contenders. The North State Modified race is running in conjunction with the NASCAR K & N Pro Series, the Pacific Challenge Series Late Models, Bombers and F-4 Skid Plate cars. 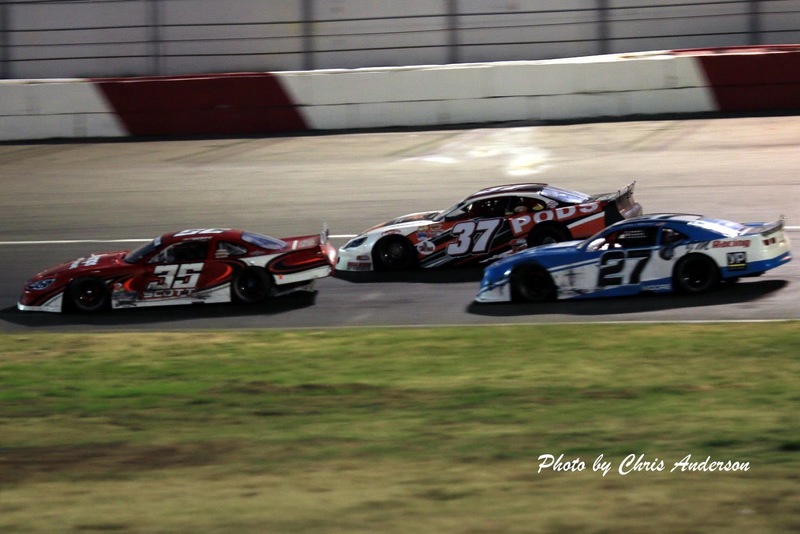 ROSEVILLE, CALIFORNIA (October 7, 2017) – A strong entry list with talent top to bottom will compete for 100 laps in Saturday’s 4th annual October Classic 100 for the Pacific Challenge Series presented by PenneyLawyers.com The giant night of racing at All American Speedway in Roseville, CA includes NASCAR K&N Pro Series, West. North State Modifieds for their championship race, a Bomber Open Show, and Skid Plates round out the busy night of entertainment scheduled. 22 Bombers join 19 PCS, 8 Skid Plates, and expected fields above 20 cars for both the K&N West and Modifieds competition for nearly 100 entrants total. 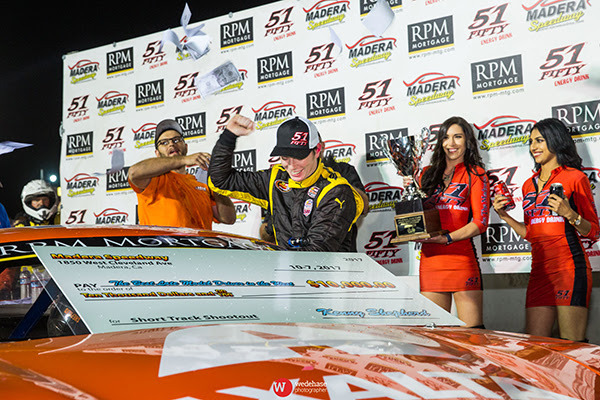 MADERA, CALIFORNIA (October 7, 2017) – Bakersfield’s Buddy Shepherd claimed his third career Late Model track championship and outlasted Eric Holmes to win the 5th $10,000 Short Track Shootout, in the season finale for the RPM Mortgage Pro Series at Madera Speedway on Saturday night. The young driver’s win was his biggest in a productive career at the fastest one-third mile in the west on a night televised for MAVTV. 95 cars lined the pits including 50 Pro Late Models, 14 51FIFTY Junior Late Models, 24 Lucas Oil Modifieds, and seven Mini Cups for the exciting evening of action in front of a healthy crowd. Shepherd qualified third behind 3-time defending Shootout winner Holmes but drew the pole for the 26 car, 150 lap feature. He had no trouble scooting ahead of Glen Cook with the lead. The first caution flew on lap ten and the restart saw the entire top ten upstairs. Cook drifted backwards on the restart with Doss up to second and Holmes up to third. The yellow flew again on lap 12. Second in points Logan Zampa of Napa, CA entered the night five points behind Shepherd and found himself in numerous battles including early with NASCAR Whelen All-American Series national runner-up Trevor Huddleston. Tyler Herzog had been a strong story all year before he fell back to 14th position. Contact with 2007 Altamont champion Ryan Philpott in turn two sparked a wild crash that included Lawless Alan making hard contact with Herzog. Eric Nascimento, Jr. launched over them causing Kolby Berry to slow and sending Rick Thompson hard into the turn two wall. Zampa snaked up to fourth while the back-and-forth musical chairs among the top-three of Shepherd, Doss, and Holmes began. Inaugural Short Track Shootout winner Mike David of Modesto worked past Hailie Deegan in her debut and she was bumped back behind Ross Strmiska as well. Cook took over fourth from Zampa and ran nose-to-tail with the top-three in a strong showing early. Doss applied pressure at the lap 50 mark showing his nose inside Shepherd before a caution on that lap. David’s race ended when he collided with Strmiska in turn three and stalled a handful of laps later with broken rear trailing arm. Zampa returned the pass on Cook in the ensuing restart and still 21 cars were running at the lap 70 mark. Hailie Deegan’s brilliant debut hit a snag when she bounced off the wall and collected Herzog on the front stretch. The race stayed green despite debris on the entry to turn one. Holmes went for a Bonzai charge on Shepherd in lapped traffic in turn four with the pair sliding and making contact. The following lap Holmes developed a right front flat tire as more debris appeared in turn three. The race went yellow on lap 96 for the debris, bringing the lap 100 race break four laps early. Holmes was forced to restart last after the break as he changed a tire in the pits. Coming out of the break after the Lucas Oil Modified feature was completed, Strmiska looked outside Doss for second. Doss jumped out of line with a mechanical problem on the following lap for a caution to end his night. 2016 RPM Pro LM champion Matt Erickson had worked from 17th to fourth by that point. A caution for a spin in turn two saw Deegan retire to the pits with mechanical problems as well. Kolby Berry’s series debut was interrupted by a flat tire for another caution on lap 101. Six-time 51FIFTY Jr. LM winner Austin Herzog began to make his presence felt. The 15 year-old drifted backwards on the inside, then turned up the wick passing Huddleston, Erickson, and Strmiska to take over on second by lap 111. Zampa stopped in turn four on that lap for a yellow and Holmes had worked from 21st up into sixth. Holmes then moved up to fourth on the restart and began a long term battle with Herzog and Strmiska for the second position. The battle never really relented until the final stages. A lap 121 caution saw Kevin Thompson suffer a stuck throttle and go hard into the turn one wall with Zampa along for the ride. Zampa’s night and championship chances were ended and he had to settle for second in the points. Holmes used the inside to get past both Herzog and Strmiska after numerous side-by-side duels with each, to assume second on lap 140. He put Buddy Shepherd in the crosshairs as Jagger Jones spun in turn four with five to go. Holmes had run his best lap of the race on that lap, and had a solid restart that gave him a good look at Shepherd. They ran within inches of each other before Matt Erickson crashed hard on the front stretch in a tangle with Garland Tyler. That set up a three lap shootout, but Shepherd was much better on this attempt at a restart. Holmes made one last dive inside on the final set of turns, but came up short. Buddy Shepherd cashed the 2017 RPM Mortgage Pro Late Model championship and $10,000 for winning the Short Track Shootout. The three-time defending winner Eric Holmes was second with Strmiska snookering Herzog for third. Trevor Huddleston rounded out the top-five. Robby Hornsby won from the C Main event from the outside pole in his first Madera start with Canadian Geoff Morris, Ray Mayer, and Del McIntosh transferring to the B Main event. Morris then drove through the field to take the $1000 grand prize of the 40 lap B Main event, after the four transfers of Lawless Alan, Racin Vernon, Ryan Hart, and Kevin Thompson were pulled out at lap 25. Linny White won the Lucas Oil Modified Dash then followed that up with victory in the Lucas Oil Modified 75 presented by K&N Filters. A lengthy red flag on lap 38 came out after Arizona’s Blake Rogers tagged the front stretch wall and caught fire. The driver was uninjured. Idaho’s Trevor Cristiani continued his reign from the front of the field with Jason Irwin and White in tow. Things intensified on lap 60 in lapped traffic when Cristiani spun and was hit in the door by former champion Dylan Cappello of Arizona. Both were out of the race. White led the last 15 laps for the victory with second place Taylor Miinch also wrapping up the series championship. Jesse Love IV put on arguably the best display of driving in the championship race for the 51FIFTY Junior Late Models, making passes high and low to win the 75 lap season finale. The top-three finishers of Love, Kolby Berry, and Austin Edwards were the top-three in the championship points as well. Eric Nascimento, Jr. started on the pole and led the opening lap while Las Vegas’ Tanner Reif began to show the outside line that would be a factor in the race later. Reif worked past Berry with Nascimento sliding up in front of Reif in turn four on lap five. That allowed Berry to charge back inside Reif in a tremendous scrum up front. Reif tagged the front stretch wall nearly half a dozen times as he tried to edge ahead of Berry and Nascimento. Reif finally went a bit too high in turn two and spun, tagging the inside K Rail rear end first for a lap 11 yellow. The single file restart saw Nascimento, Berry, and Hailie Deegan – all racing the same cars in the Short Track Shootout as well – break away while Anthony Guaimano got sideways down the backstretch but made a nice save. Love and his teammate Adam Lemke ran a side-by-side battle with Love taking fifth on lap 22. Edwards jumped inside Lemke but after some side-by-side running Lemke successfully defended the position. 11 laps later, Love got around Guaimano for fourth. Lapped traffic became a factor on lap 42 for the lead pack while midpack Reif was attempting a comeback run rolling the outside to pass three cars in succession. Guaimano and Lemke tangled in one on lap 48 to bring the lap 50 break two laps early with 27 laps to go. Reif continued the amazing use of the outside groove to try to nab fifth from Edwards before he headed to the pits with a mechanical issue. Love began to close on the top-three and started to take his shot on the outside himself. Love cleared both Deegan and Berry on lap 64 nearly edging Nascimento before a caution for Guaimano and Lemke having a hard crash in turn three. On the restart, Nascimento went high to defend the outside from Love. The move allowed Love to cut to the inside to take the lead on lap 66. The battling continued behind Love with Nascimento and Deegan zigging and zagging down the front stretch, with Deegan spun out into turn one against the wall with two go. Love would not be denied as he led second in points Kolby Berry and third in points Austin Edwards across the line with Las Vegas’ RJ Smothermon and Bakersfield’s Kabe McClenny the top-five. Tyler Reif of Las Vegas wrapped up a strong rookie Mini Cup campaign, leading all 20 laps of the season finale. The win also gave Reif the championship for the youngest drivers at Madera. Kale McClenny of Bakersfield and Aaron Thomas rounded out the top-three. Madera’s season concludes October 21st with the 11th Annual Pumpkin Smash Halloween Bash and Blow Up!!! West Coast Sportsman Series, MST's, Toyota Sedans, $2,000 to Win 250 lap Enduro, the Extreme Barrel Racing Series, a Trick or Treat thru the Pits and on Track PUMPKIN SMASH for the KIDS!